OPTION: See "D6 Firearms" elsewhere on the site for Autofire Variant rules. 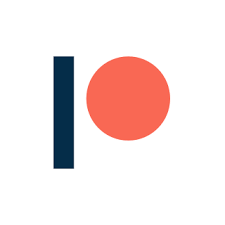 Location: 1 on each outer lower leg. Rate of Fire: 1 per attack; volleys up to maximum payload. Rate of Fire: 1 per attack, or volleys up to maximum payload (usually of only one type of missile, but all can be fired at once if needed). Ammo: 10 round magazine, exchangeable. As tensions increase between the Naturals of the Earth Alliance and the Coordinators of ZAFT, military development also continues. 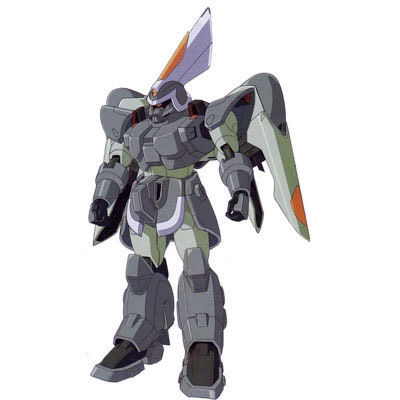 Whereas the Alliance concentrates on mobile armors like the TS-MA2 Moebius, ZAFT instead develops the first humanoid mobile suit, the ZGMF-1017 GINN. The GINN is vastly superior to the Moebius, as illustrated by the poor performance of the Moebius line in most conflicts following the GINN's introduction. The GINN's basic armament consists of a 76mm machine gun and a heavy sword, but it can also be equipped with a wide variety of weapons for specific battles. 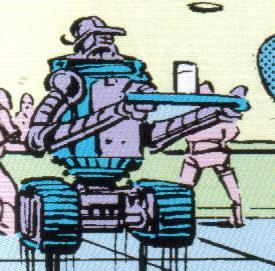 These optional weapons include leg-mounted missile launchers, handheld missile launchers and a heavy particle cannon. As a general purpose mass-produced suit, the GINN is deployed by ZAFT in space as well as on Earth. Because of the versatility of its design, ZAFT creates many variants based on the basic GINN design. The GINN (and its many variants) are so widely produced that many units are salvaged or otherwise acquired by mercenaries, the Junk Guild or private citizens. The ZGMF-1017 GINN is the standard mobile suit of the Zodiac Alliance of Freedom Treaty (ZAFT) from November CE 69 to September CE 71. The GINN is designated a Zero Gravity Maneuver Fighter by ZAFT, thus the designation "ZGMF." The GINN is a durable, basic mobile suit which is analogous to the MS-06 Zaku II in the original Mobile SUit Gundam anime series (Universal Century timeline). It has two large, thruster-filled "wings" on its back and carries basic, dependable weapons - a 76mm machine gun and a 10-meter-long sword form its primary armament. 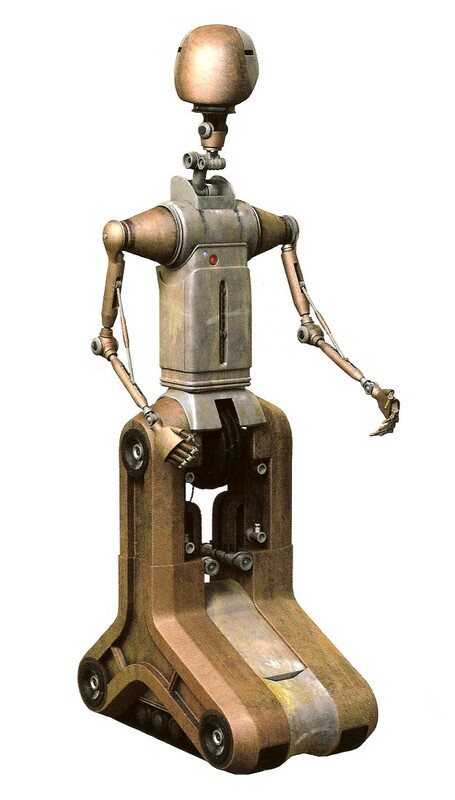 The GINN can also be equipped with a three-round missile launcher on each leg and "D-Class" assault weapons consisting of heavy arm-mounted missile launchers, a recoiless cannon and anti-ship beam guns. The versatile GINN has several variants, some of which (high-maneuver, desert, marine, tactical air reconnaissance and long-range space recon variants) are seen in the TV footage. The GINN is even used by nonaligned factions, especially mercenaries and pirates. The GINN was manufactured in such high quantities from 69-71 that units will be in common use for many years to come. The GINN's powerful thrusters can only keep it airborne for a short time under gravity, so it uses the Guul Subflight Lifter to fly in an atmosphere. Late in the Bloody Valentine War, GINN pilots found their heavier, sturdily armored mobile suits much clumsier than the lightweight GAT-01 Strike Daggers of the Earth Alliance and MBF-M1 M1 Astrays of the Orb Union, and highly vulnerable to beam weapons; fortunately for ZAFT, by this time the beam-equipped, faster ZGMF-600 GuAIZ was in full production. 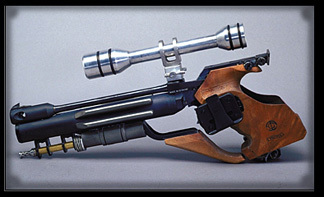 GINN types remain in common use late into CE 73, including the new, more powerful GINN High Maneuver II, which seems to have been designed as an alternative to the ZGMF-600 GuAIZ. However, the expense of the HM2 limits its use to a few elite pilots and units. During the early months of the Bloody Valentine War it became increasingly obvious to ZAFT that the one-size-fits-all GINN would not be able to adequately perform all missions, so many variants optimized to specific environments and specific missions were procured, often resulting in wildly differing descendent units (like the officer-type ZGMF-515 CGUE, ground-type TMF/A-802 BuCUE, air-type AMF-101 DINN, and aquatic-type UMF-4A GOOhN). Nevertheless, all major GINN variants remained in use on the last day of the war, (September 26 CE 71). After the war, the expensive successor unit ZGMF-600 GuAIZ would be quickly phased out in favor of a more versatile and powerful suit, the ZGMF-1000 ZAKU Warrior (and its commander-type variant, the ZGMF-1001 ZAKU Phantom). ***UPDATE NOTES: If GMs/players come across this write-up and see other variants of the GINN on the site, they may notice a difference in Dice for the HULL entry. This write-up for the original GINN has been altered to reflect an ongoing attempt on my part for balance, while also experimenting with how the rules work, and how they can be changed for better quality. Here, I have made rules for "mecha" more specified, giving the Hull Dice, then followed by Strength and Armor Dice, to show statistics similar to a character, since the GINN and other mobile suits and mecha are made to move like a human (or whatever race builds them). In this case, the Strength Dice show the GINN's base superstructure before the armor plating is added on, which is also its strength to show how much power it can physically exert (for close combat and fine manipulation of other objects, like lifting things for utility purposes). Then the Armor Dice are given, to show the need for protection on a character or combat vehicle. Originally, the GINN write-up had 4D Strength and 1D Armor. After some thought on the other variants, especially the DINN Atmospheric flight type, I thought less strength was needed, with a little more armors, so that lighter models could be reduced in armor for greater mobility, while keeping the GINN's base Strength as their own in combat. Though using a 3D Strength against a 5D Hull may not seem very doable in combat, that's why weapons are given to overcome this, such as the GINN Sword (Strength+2D, 5D for GINNs, at least equals the Hull of other GINNs), along with other ranged weaponry such as guns and missiles. Also, their is always the chance of ripping off the Armor plating to get a better crack at another mobile suit, or even called shots on critical systems and equipment to criple an enemy (such as the camer eye in the head, the maneuvering thrusters, the limbs themselves), all of which would use Strength to resist, not the full Hull Dice. When in co mbat, though it works much like a starfighter from Star Wars D6 RPG, a mobile suit/mecha still moves and can fight like an actual person if used right. ****MISSILE VOLLEYS: Star Wars D6 RPG has always used missiles, and this carries on in later versions of their RPG rules. However, to my knowledge, they have never had rules for firing multiple missiles at once, in volleys. Many write-ups I send in list the ability to fire volleys of missiles or other kinds of weapons. But, though I have intended to send in rules for this for sometime, I have put it off. Here are the rules. -Unit type: mass production general purpose mobile suit. -Operators: ZAFT (Zodiac Alliance of Freedom Treaty); civilians. -First Deployment: 3 November C.E. 69. -Accomodation: pilot only, in standard cockpit in torso. -Powerplant: Ultracompact energy battery, power output rating unknown. -Fixed Armaments: MA-M3 heavy sword (stored on waist, hand-held in use); MMI-M8A3 76mm heavy assault machine gun (stored on rear waist, hand-held in use). -OPTIONAL Fixed Armaments: 2 M68 "Pardus" 3-barreled missile launchers (mounted one per leg). -OPTIONAL Hand-Held Armaments: 2 M66 "Canus" short range guided missile launcher (4 missiles per launcher; 2 starfighter scale, 2 capital scale, usually used in pairs); M69 "Barrus" Heavy Ion Cannon; OR 1 M68 "Cattus" 500mm Recoiless Rifle. -Appearances: Mobile Suit Gundam SEED; Mobile Suit Gundam SEED (manga); Mobile Suit Gundam SEED ASTRAY; Mobile Suit Gundam SEED X ASTRAY; Mobile Suit Gundam SEED ASTRAY B; Mobile Suit Gundam SEED ASTRAY (OVA); Mobile Suit Gundam SEED DESTINY; Mobile SUit Gundam SEED DESTINY ASTRAY; Mobile Suit Gundam SEED ASTRAY R; Mobile Suit Gundam SEED C.E. 73 STARGAZER; Battle Assault 3 featuring Gundam SEED; Mobile Suit Gundam SEED: Never-Ending Tomorrow; Mobile Suit Gundam SEED DESTINY ASTRAY (photonovel).